Before– This patient didn’t like the shapes of his two front teeth. They were ‘bumpy’ and uneven. After– Dr. Jack Hosner of Portage, MI simply re-contoured these two front teeth to straighten them and blend them better with the rest of his teeth. This was done comfortably without anesthesia. 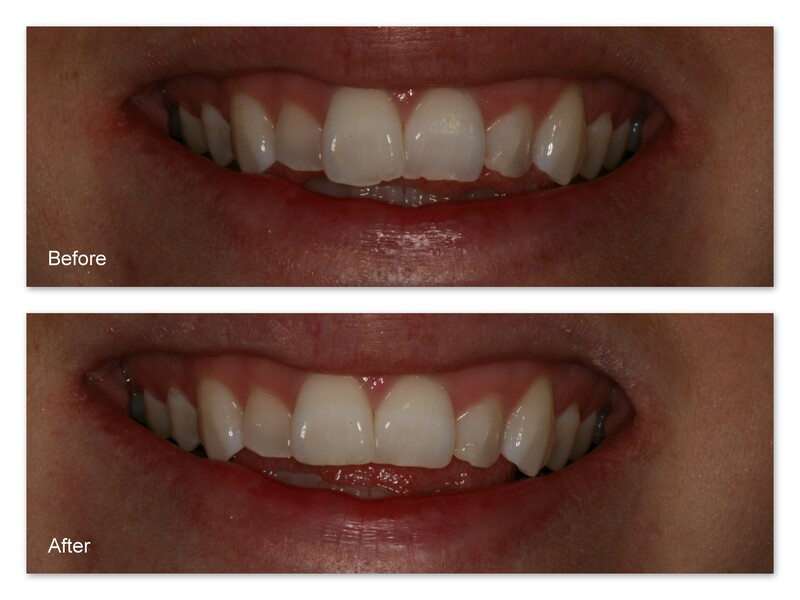 Before– This patient presented to Dr. Jack Hosner of Portage, MI with chipped and worn two front teeth. 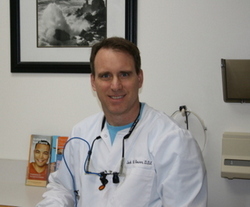 After– Dr. Hosner reshaped and polished the edges to create better esthetics. Before– This patient chipped his front tooth. 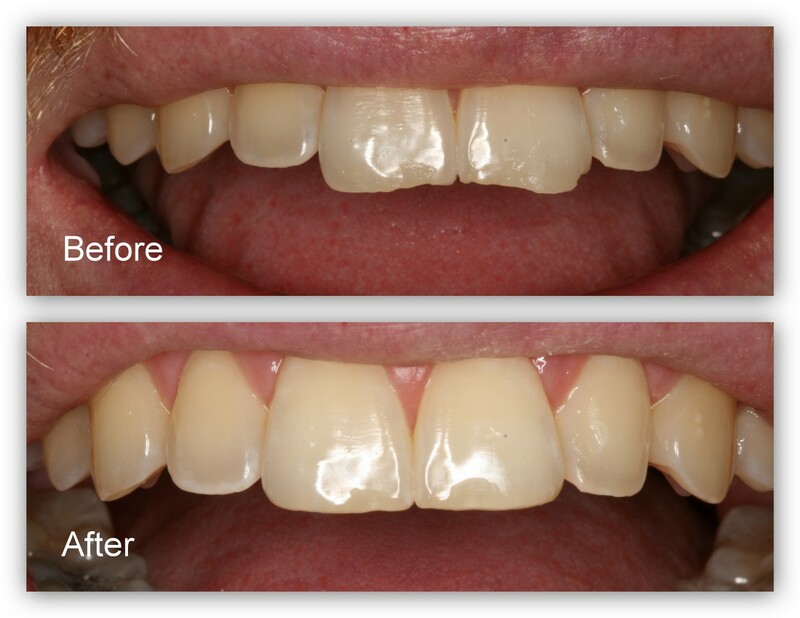 After– Dr. Jack Hosner of Portage MI reshaped the edges of his two front teeth without anesthetic to create a more attractive appearance. The patient experienced no sensitivity.